Oh neat! I couldn't get it to trigger when I had high honor she would tell John, "Abigail is good as they come!" And then John angrily walks away, I forget what he says. Do we have any theories on this pic? 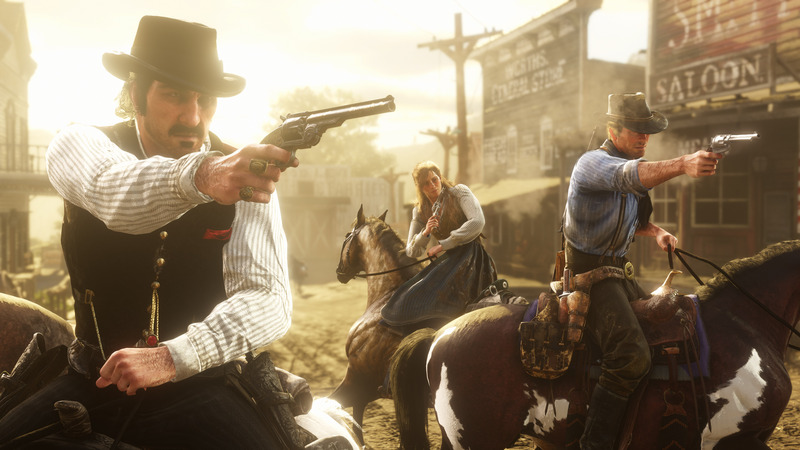 This one might be one of the cutted missions involving Sadie going on tasks with the gang, her character building into the story. I don't think it was a mission, i think it was just a scenario they made for some pics. I was replaying a mission (Angelo Bronte, a Man of Honor) and I checked my Satchel, and I had two pamphlets for recipes I'd never seen before. Split Point ammo, and Express Explosive ammo. I'm guessing express explosive ammo was cut, as was needing a pamphlet to craft split point ammo. The pamphlet for split point was added to Red Dead Online. Interesting that these only appear in that mission. That Angelo Bronte mission gave us the New Austin glitch and now THIS?! How did Rockstar leave all these in that one mission? I wonder what other secrets it hides. Maybe Little Jack was held somewhere in New Austin and not in Bronte's mansion after all*, so they finally decided to not drag the mission that much. I don't know what to think about that mission, it's a box full of surprises. *That probably meant no spaguetti and fancy sleepers = BAD. In the mission photo for The mercies of Knowledge VII, The bounty that the professor is executing in the photo has a fancy beard, a full head of hair and is wearing a suit whearas in game the bounty is bald, stubbled and wearing cowboy attire. Yeah if you think about it... there's no place to eat in Strawberry! The Saloon was the obvious loction at the other hotel building. The same thing happened at Annesburg... they removed the saloon for either production or performance reasons. I hope when they release the PC version they re-add the cut content because performance is less of an issue. I highly doubt they'll go through the Q&A effort... one can dream though! I noticed these mentions as well. On other hand, though, Lenny tells Arthur during "A Quiet Time" that Strawberry is a "dry town". The grocery clerk also mentions this and talks about how the mayor is responsible. While it's possible there was a saloon in Strawberry at one point, it's also possible that chance encounter was moved from a different town or designed to work in multiple. The cut 6 hours of sadie x arthur. Yeah I don't think we'll ever see anything regarding Sadie and Arthur. I wonder though if there will be game files that will prove that it was at least her but probably not. 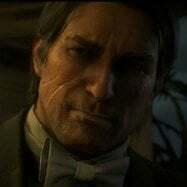 PS: My ultimate Red Dead fantasy would be seeing Sadie tag-teamed by Arthur and John. Performance isn't an issue. Do you really think a few more buildings in the game would affect performance? For example the Blackwater saloon and shops are disabled for the majority of the game with no difference in performance. I'm not trying to be rude or anything but one or two more interiors wouldn't break the game. I doubt they'll be included with the PC port, just datamined. Performance isn't an issue. Do you really think a few more buildings in the game would affect performance? For example the Blackwater saloon and shops are disabled for the majority of the game with no difference in performance. 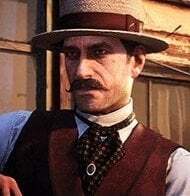 There are alot of dumb things Rockstar have removed from their games in the past, such as GTA IV's Fingerless Gloves, GTA V's multiple weapons and vehicles being saved for online only, RDR1's giant/dwarf stranger mission (which made a return in RDR2) and much more. Either Rockstar remove them because they don't fit, forget about them or simply do it for just Rockstar reasons. There's always some dumb stuff they remove from their games. And a lot of the time like the fingerless gloves, they leave them in the files fully intact. "In my opinion, no. There was a deep mutual respect and caring for one another but it wasn't sexual. I think it was incredibly refreshing for rockstar to have female character who stood on her own and wasn't reduced or sexual used as anyone's 'love interest.'" I don't know if I should believe this or not. Obviously I should believe it but what if she's just saying that because of a NDA? Since she's the voice actor I'll take it, that's odd, "in my opinion." What an odd answer, it's not really a matter of opinion. You either recorded the lines or you didn't. I mean if it's so buried in subtext that voice actress doesn't even know the character's motivation here, I'm guessing either they were never going to hit us over the head with it, or she wasn't the other love interest. I agree this is an odd answer. Exactly it isn't a matter of opinion, it's either a yes or no, like did she record love interest scenes or not. That's what threw me off with the whole in my opinion, she would know if she recorded scenes or not. I found the PM's Katieyyy linked on the main subreddit. Before she answered this question she said unrelated but she had no idea what she was playing for a year. She didn't know her character role was big either until 2 years in. Sounds like to me all of them were left in the dark. Though she sounds like she's denying it straight forwardly by saying she's glad the character wasn't sexualized. I don't know, it's odd. You'd think she say, "no, we didn't record anything like that, so not the love interest" rather than, "in my opinion. Someone on YouTube claims she liked a post or re-posted a photo of Arthur and Sadie hugging. Idk. Sounds like she can't slip up and say cause of R* and or NDA as to why, "in my opinion." Though I'm probably wrong and the simple answer is exactly what she's saying, which is she's not. No idea. I honestly don't know what to make of this. 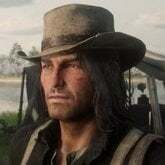 Alex, Roger, Gabriel and a lot of the RDR2 cast have played the game so probably know if anything significant was cut. Like Gabriel remembered that the cave section in the mission where you rescue John was cut. Maybe Alex is under NDA like the GTA V actors are still under regarding story dlc which at least Steven recorded mo cap for which was later used in GTA Online Series A funding. The only other person who could answer would be Roger but he's probably under heavy NDA and can't say what was cut or not. Gerry Rosenthal (The voice actor of Jimmy in Bully) is still under NDA 13 years later for example so can't reveal too much. I still find it weird that Dan Houser even mentioned cut content. I mean yes the game is complete and very satisfying, but..... WHY must he tease like that?! TELL US DAAAAANNN!! !